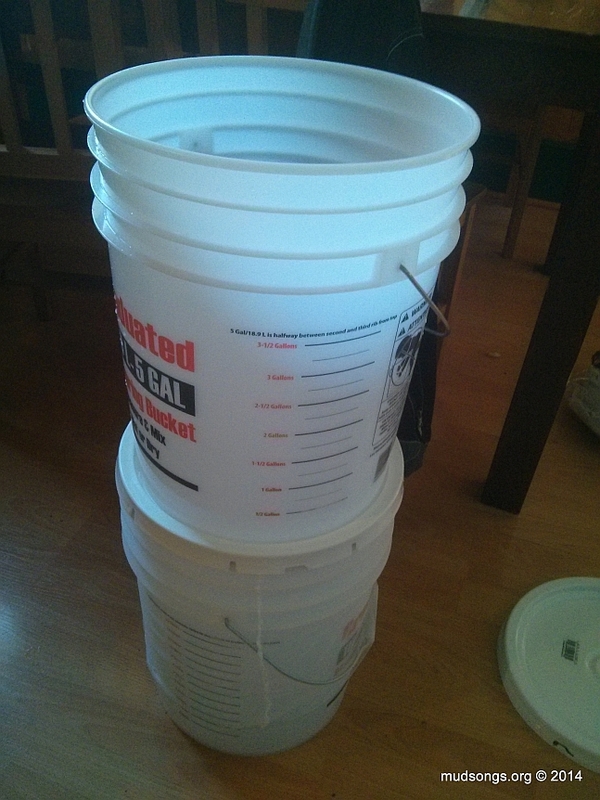 WARNING: Plastic buckets from the hardware store contain BFA, a substance that is generally not good for humans. 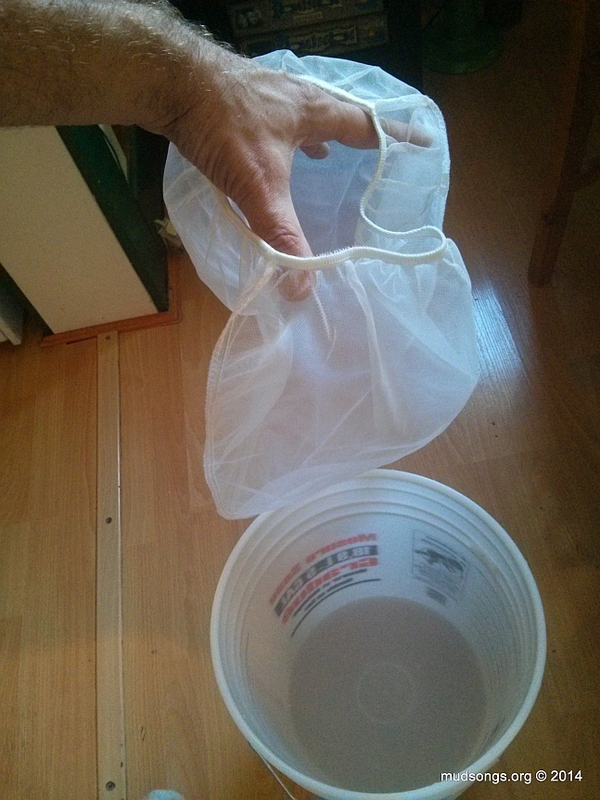 I doubt much BFA would get into the honey in this process because the honey isn’t stored in the plastic. 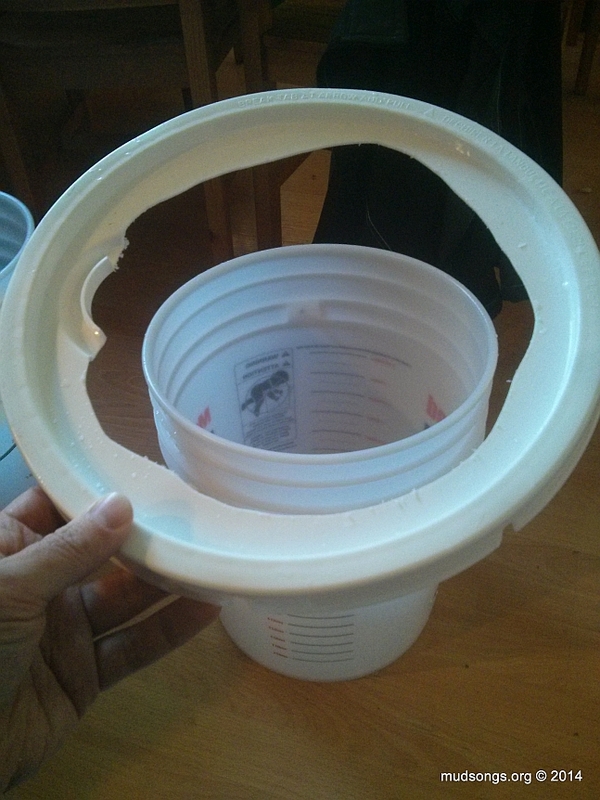 It mostly just passes through the plastic funnels and sits in the plastic bucket for less than a day. 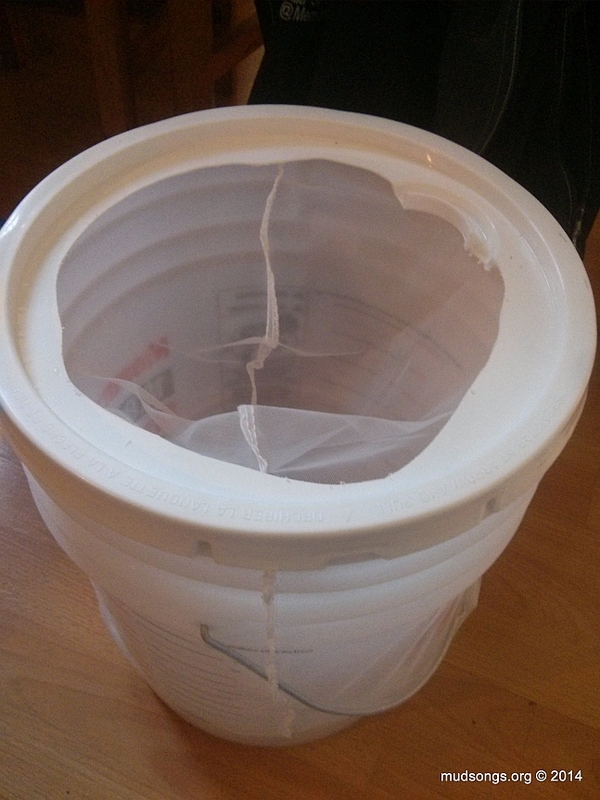 But still, stainless steel or food-grade plastic buckets are preferable. 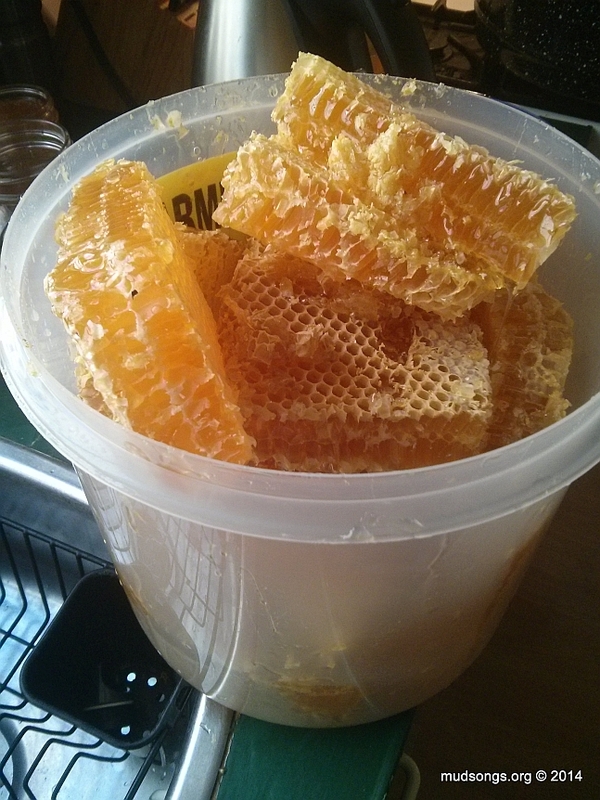 Honey meant for public consumption should never come in contact with non-food-grade plastic. 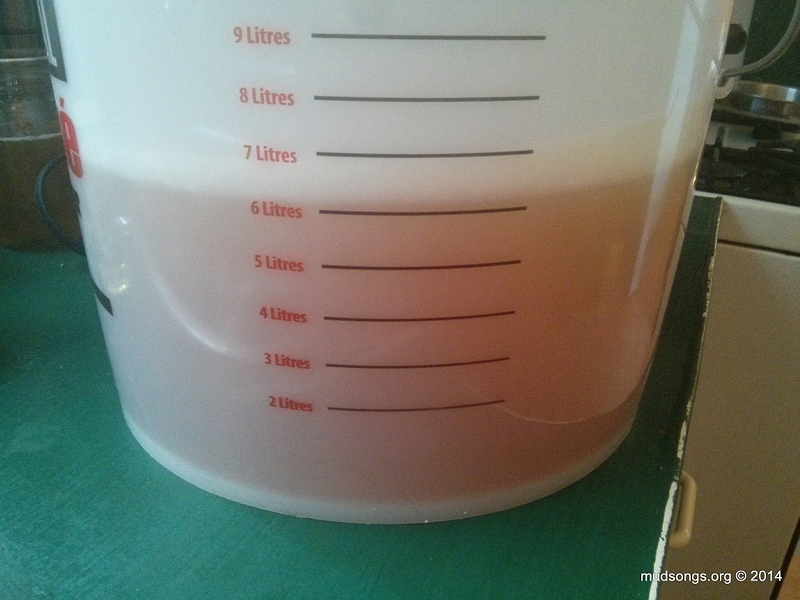 I recently crushed and strained about 6 litres of liquid honey (about 1.6 US gallons) from a medium honey super. 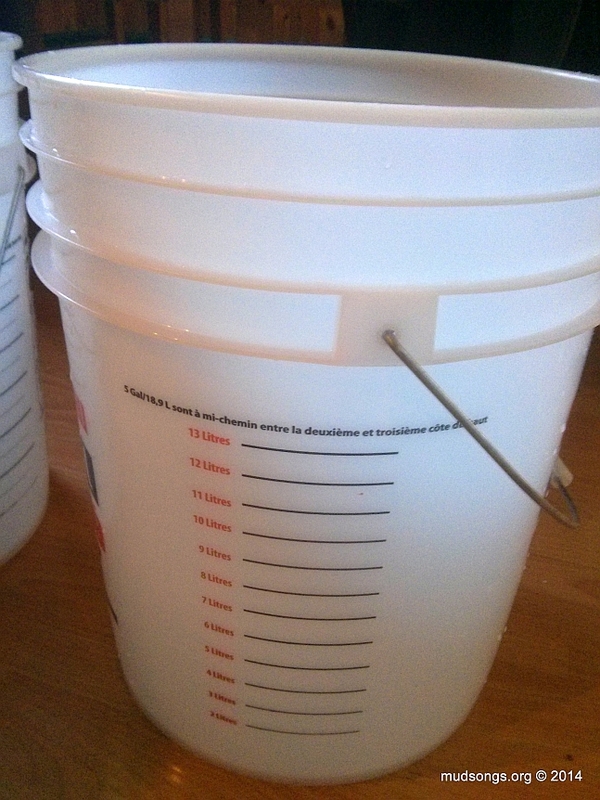 I followed what some called the 3-bucket method, which I’ve demonstrated before, except I didn’t do it properly the first time. This time I did it right and it worked perfectly. 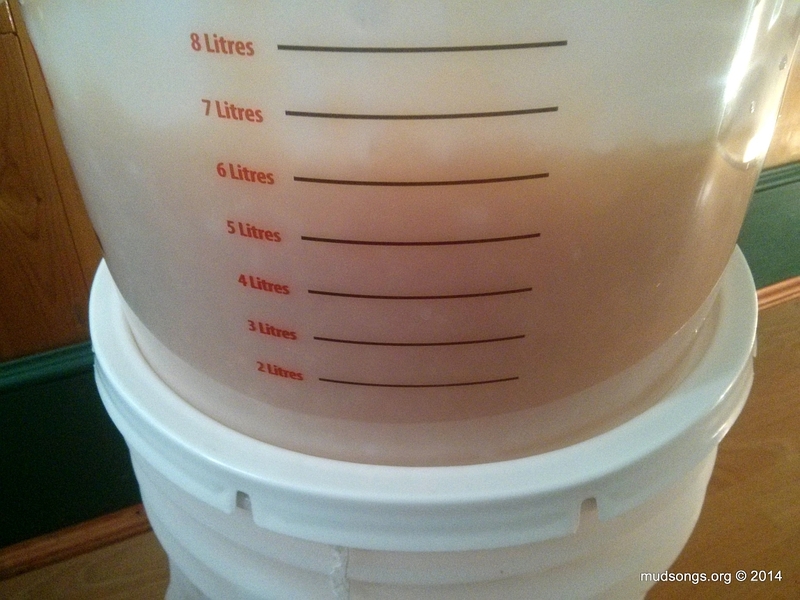 The process is explained with labelled photos below. 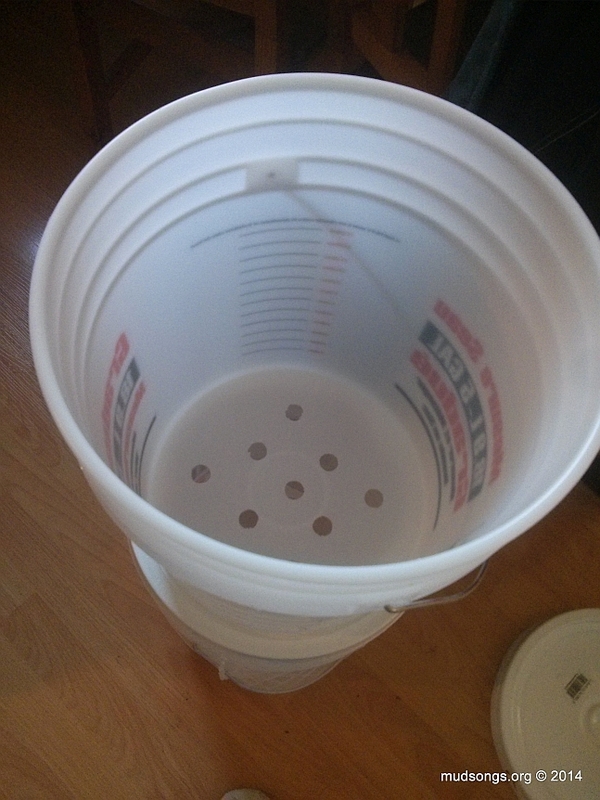 Basically you pour the crushed comb honey into a bucket with holes it, which drains into a bucket with a paint strainer on it. 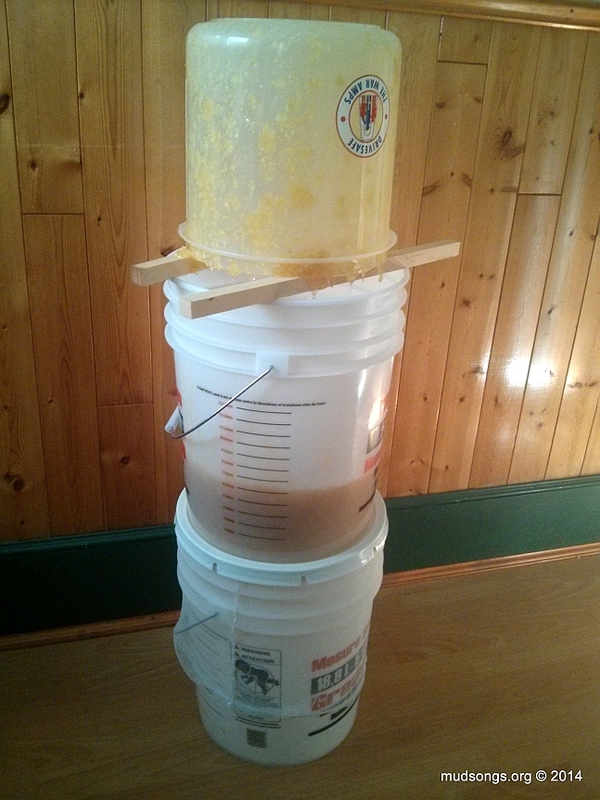 Then you bottle your honey. 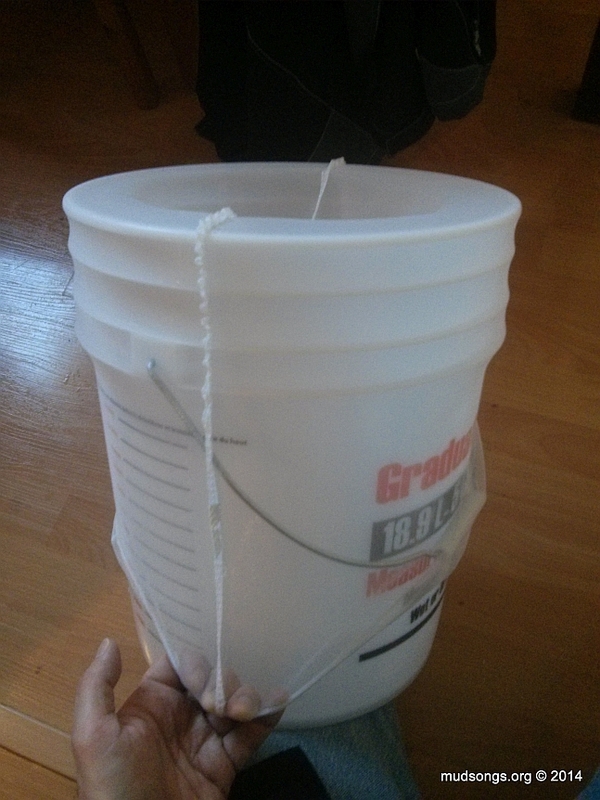 I recommend this method for hobbyist beekeepers with a small number of hives. Comb honey is the best, but for liquid honey, crush-and-strained in my experience tastes and feels better than extracted honey. The fact that the honey strains through the beeswax, much of flavour of the wax — which is a huge component of natural honey — isn’t lost like it would be with extracted honey. 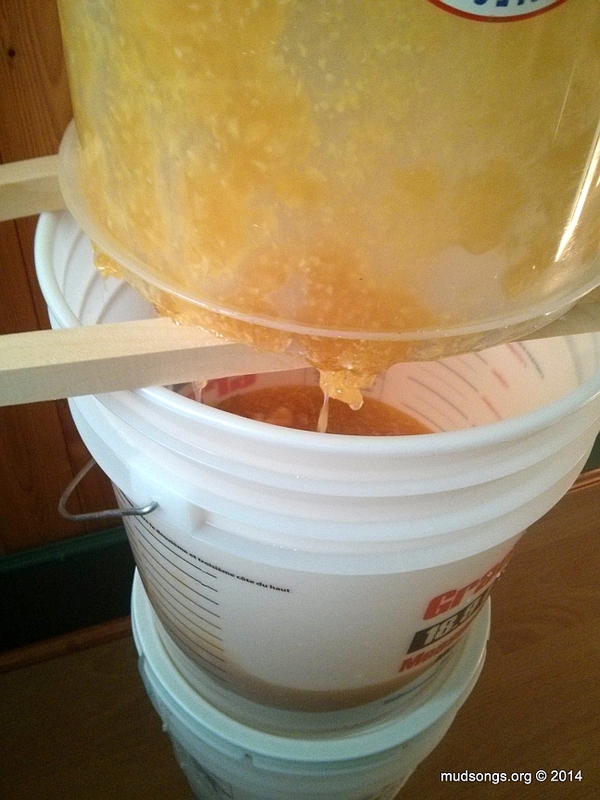 This entry was posted in Comb Honey, Crushed & Strained Honey, Equipment, Honey, Month of October, Year 2014. Bookmark the permalink. 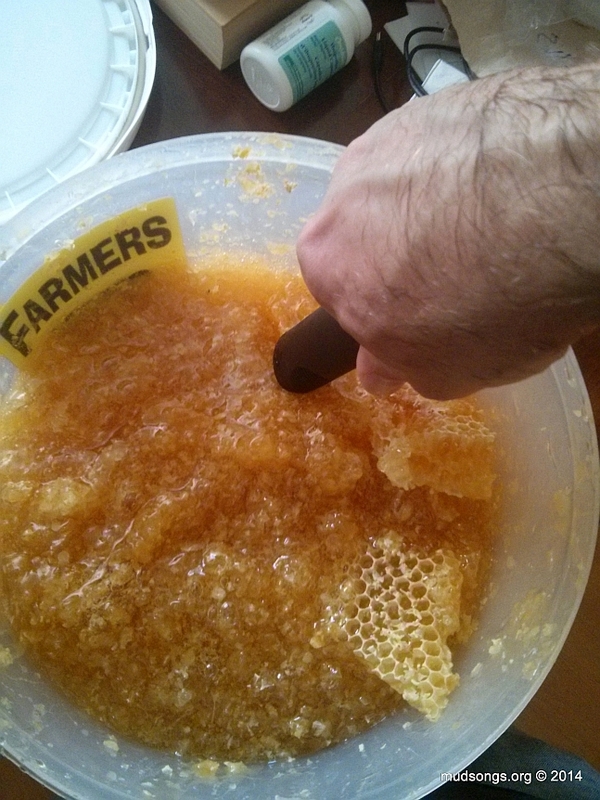 The last batch of honey was recently extracted, a total of about three medium honey supers. But I only got about two supers worth of honey from it because the honey was so cold that it wouldn’t flick out of the cells easily. All the honey stuck in the comb will be fed back to the bees, but for now on I’ll make sure to extract by the end of September at the latest. I’m buying my extractor for next year. Do you feed the bees sugar or you harvest them natural? I would live to buy some. 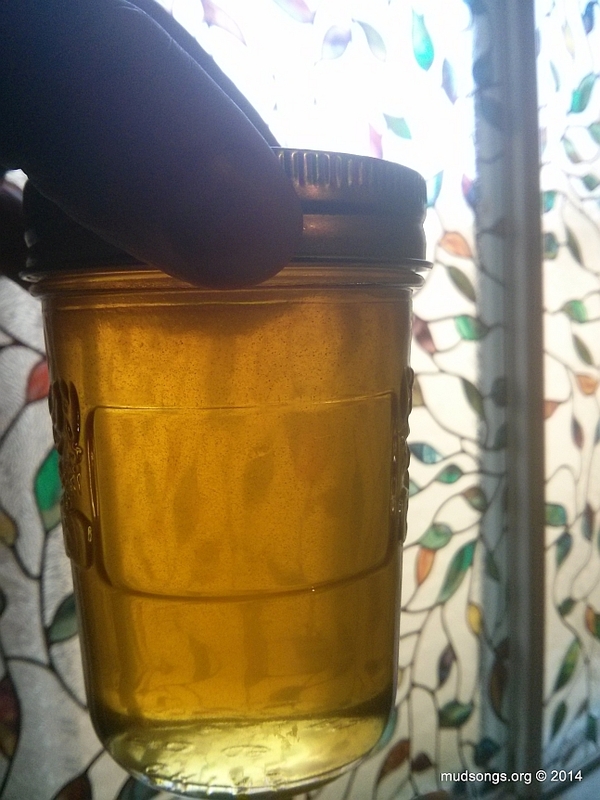 Some of my honey is still available. I’m not sure what you mean by feeding sugar or harvesting natural. If you mean do I feed the bees sugar syrup and harvest the capped syrup like honey, the answer is no. 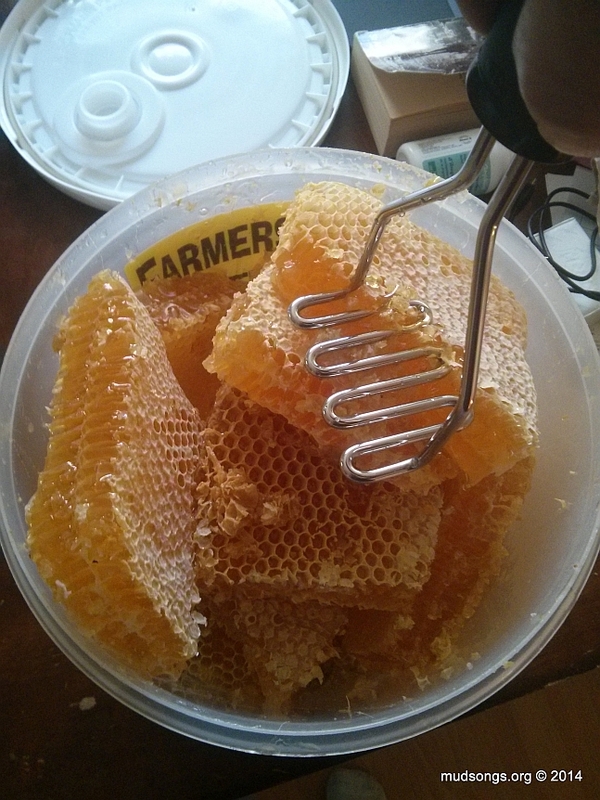 I’ve heard of some beekeepers in the US doing that, but if the honey isn’t made from nectar, then it’s not honey. So nope, I don’t do that. Only the real deal from my hives. I gave my colonies dry sugar last winter as a precaution, though most of them, it turns out, didn’t need it. 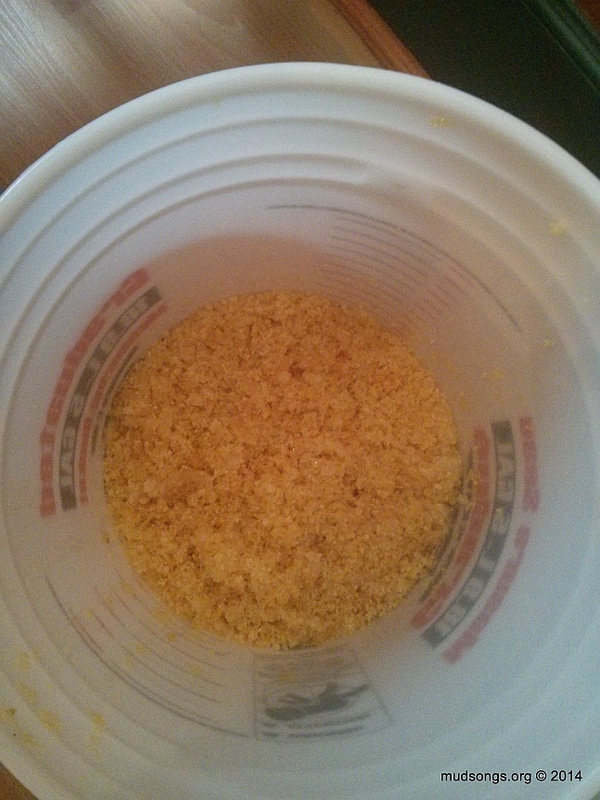 Most of them still had a full deep of honey by the time spring rolled around, but ate away at the dry sugar anyway. You’d think they’ prefer honey, but that’s not always the case. 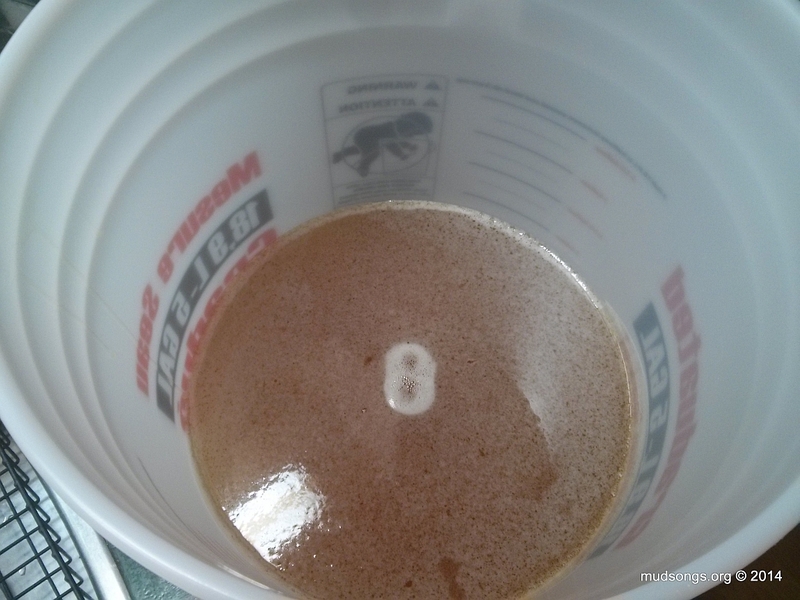 I haven’t had to feed my bees sugar syrup in the spring or fall for at least a year because I leave them enough of their own honey. I avoid giving them sugar syrup when I can, mainly because mixing up sugar syrup and carting it out to my hives is a pain in the neck. Thanks for the info and photos here. 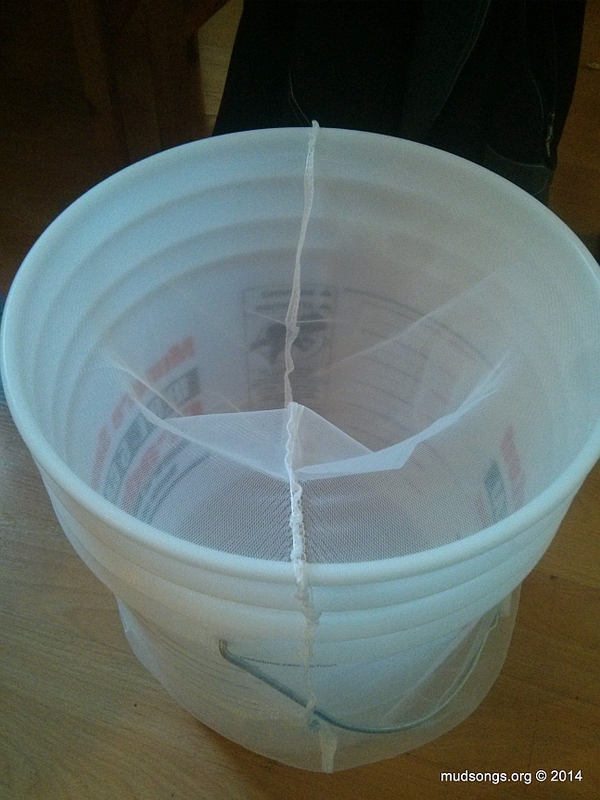 Where did you buy that strainer cloth that is shaped like a hair net that fits over the bucket? 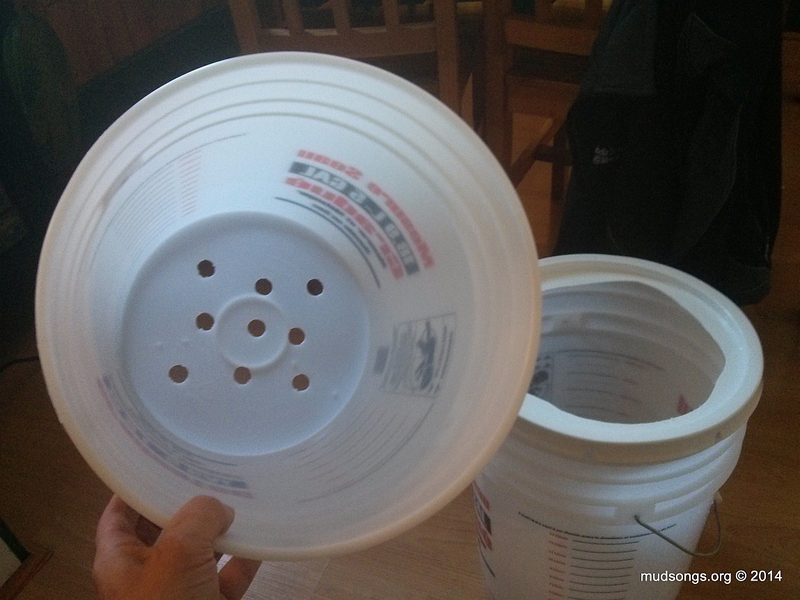 The strainers that came with my bucket have ripped and I need to buy a new one. 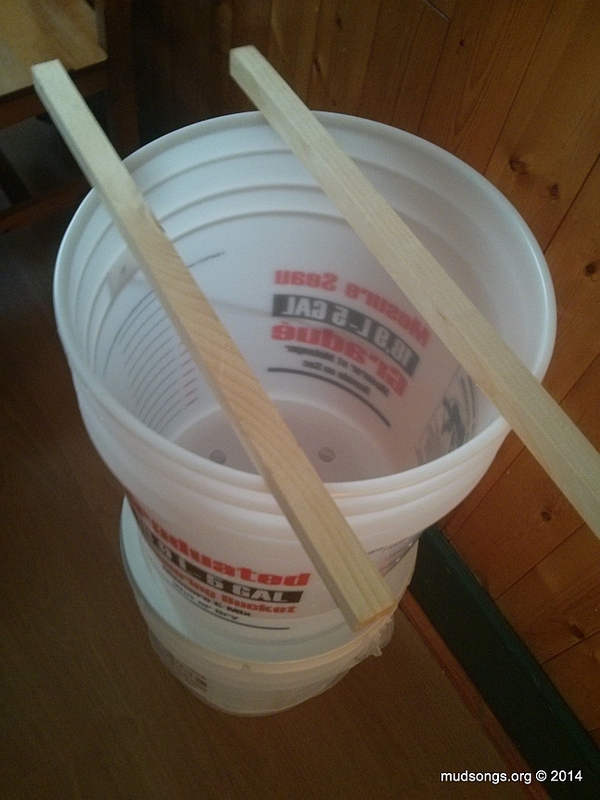 Those are paint strainers. I bought them at my local hardware store. They came in a bag with 5 or 6 strainers. They’re not hard to find.